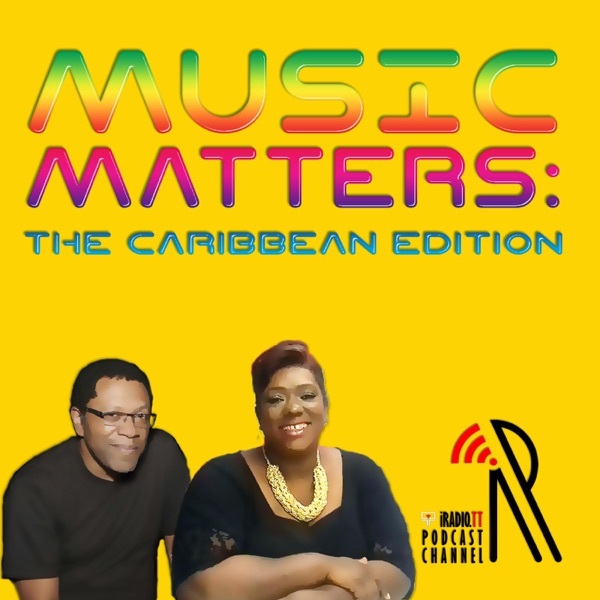 Music Matters: The Caribbean Edition | Listen Free on Castbox. Author: Jett Samm Communications Ltd.
Music business conversations with hosts Laura Dowrich-Phillips and Nigel A. Campbell focused on the Caribbean. Laura and Nigel speak with UK-born Trinidadian music industry professional Keith Kirk about the prospects of soca in the global digital marketplace. Keith, who has worked with the major labels, Sony, Universal as well as BMG in metadata support and music rights management, keeps it real and gives a direct analysis of what is happening now and what has to be done to further expand soca's musical footprint in the global industry. Laura and Nigel continue, in the SOCA SESSIONS, the conversation on what is soca and what needs to be done to increase global uptake. Music producers Martin 'Mice' Raymond and Keshav Chandradathsingh give input along with sound engineer Robin Foster on what still needs to be done. Laura and Nigel chat with modern soca producer and manager Anson Soverall, veteran sound engineer and expert Robin Foster, and pioneering soca producer and composer Joe R. Brown in a panel discussing and searching for a standard definition for soca, the sound of Caribbean Carnivals and the soul of calypso. In the first edition of our Carnival special The Soca Sessions we discuss soca, its roots and surprising similarities to today's trends with one of the rising producers in the artform and veterans who worked with the inventor of Soca, Ras Shorty I.
Laura and Nigel have a candid conversation with Melissa Jiménez, General Manager of the Trinidad & Tobago Music Company Ltd., a State-Owned company, as a follow-up to Episode 5 in which the live music industry in the Caribbean was discussed with a specific reference to the Live Music District (LMD), a publicly funded initiative of the State to enhance the music industry there. The State's track record on this new initiative to incentivise the T&T music industry is reviewed. Laura and Nigel discuss this new generation's efforts at breaking soca and calypso into the international marketplace. They chat with artist/songwriter Jimmy October about his "New Calypso" and producer David 'Millbeatz' Millien about his "Caribbean Wave" as genres and new ways of defining Caribbean music. Laura and Nigel chat about the Bajan soca industry after the recent Crop Over on the island of Barbados. As a conclusion to the cycle of 2018 Caribbean Carnivals, they have a better overview of soca in the Caribbean. Includes a wide-ranging interview with legendary Bajan soca star Red Plastic Bag. Laura and Nigel sit down with Muhammad Muwakil and Lou Lyons of FREETOWN Collective to discuss their new album, Born In Darkness, and to chat about that album in the context of the modern music industry. As a bellwether of new full length album production in T&T, Muhammad and Lou explain how this project interacts with the current music ecosystem. Laura and Nigel discuss the state of the live music industry in Trinidad and Tobago in the context of the government's plan to create a Live Music District in Port of Spain to act as a tourism magnet for visitors to the island. The experience and results of the State's efforts are gauged to derive the roles of the private sector and the State sector in developing the industry.